According to Papa Cidy, WENDI, is a big bubble jam. 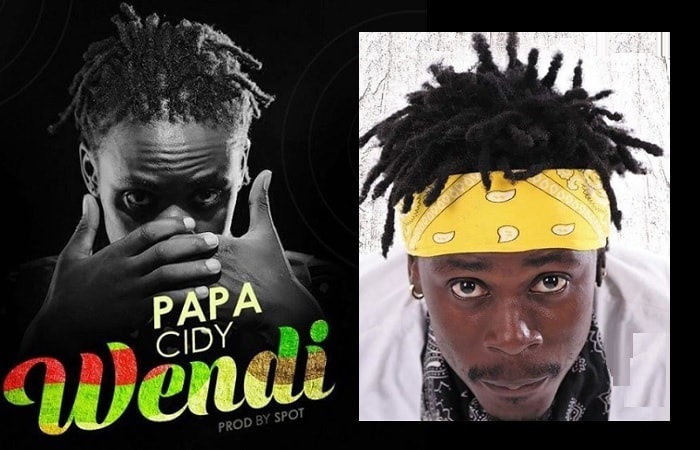 Papa Cidy is known more for his hit songs with star singer Jose Chamelone like; 'Meeme Katale' and Nkwaata. He has since relocated to South Africa. Just recently, he released his latest reggae tune dubbed Wendi, which is making the rounds on various TV stations. It's a nice one and likely to bring out the reggae dance moves in you. It's a reggae, big bubble jam according to him, he also uses a look-alike video vixen. In the Wendi song, a title that means that 'I'm Available, Cidy says that if I'm available and you are available what can fail us, everything will be sorted. However, if it was played right before or after Lady Titi's Kambyerabire, you could not miss the glaring similarity between the songs. Cidy and Yung Mulo (Bad Man Gadget) are terrorizing areas down South with their music.